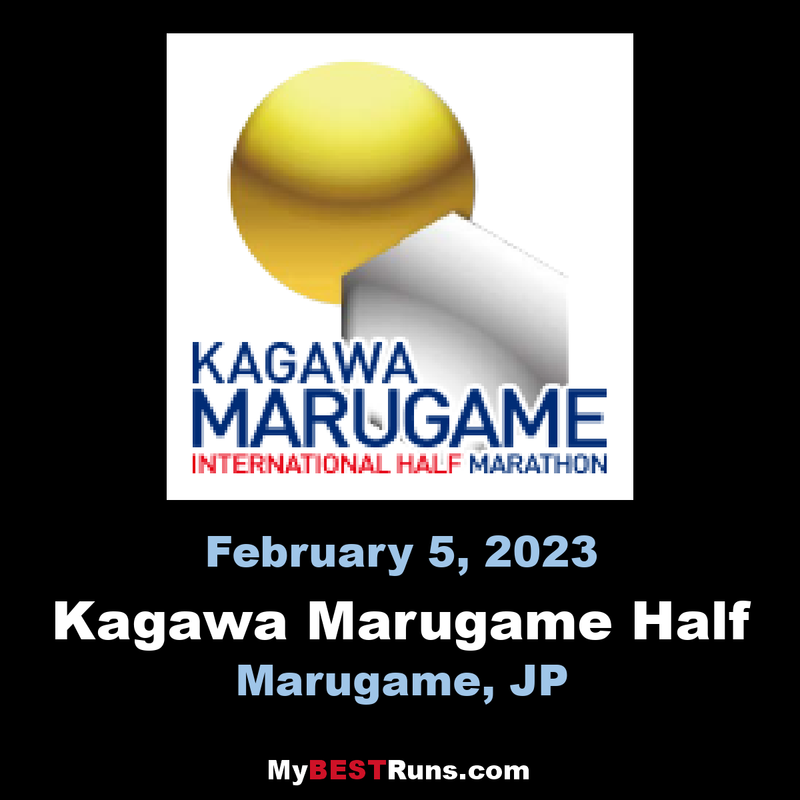 The Kagawa Marugame Half Marathon is an annual road running competition which takes place in early February in Marugame, Japan. It currently holds IAAF Silver Label Road Race status and the professional races attract over 1000 entries each year, and hosted by the Sankei Shimbun, Sankei Sports, Okayama Broadcasting, BS Fuji. 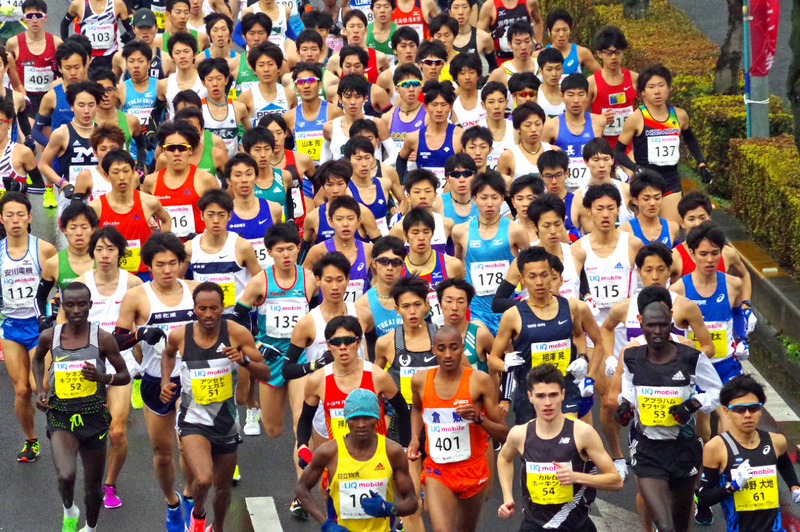 The race in Marugame was first held in 1947 as a full-length marathon, known as the Kagawa Marathon. A companion 20 km race began in 1949 in addition to the scheduled marathon. The course lengths were gradually reduced over time: the main race lasted as a full marathon until 1961 when a 35 km race was held and the shorter race became a 10 km competition. The main race was again shortened in 1971, being reduced to a 20 km race. The competitions were known as the Kagawa Road Races until 1997, when the main race was slightly extended to the half marathon distance and the competition received its current moniker. Competitors in the professional races are largely Japanese athletes, supplemented by African athletes based in the country. In addition, a small number of foreign athletes are invited to compete each year. The level of competition is strong: Kenyan runner Mekubo Mogusu recorded a sub-60 minute time in 2007 for the men's course record (59:48), while the women's course record of 1:07:26, set by Kayoko Fukushi in 2006, is the Asian record for the half marathon. The course is AIMS-certified making performances at the course eligible for national and world records. The course of the half marathon is largely linear, beginning at the Marugame Stadium and heading eastwards before abruptly looping back to follow the same path back towards the finish point within the stadium. The Kagawa Marugame International Half Marathon,which traces its route through the streets of Sanuki in the early spring, opens this year for the 72nd time as a firm fixture in the Marugame calendar, and has become one the winter seasonal markers. Our race is the first case in Japan to be granted the Silver Label status half marathon section by International Association of AthleticFederation(IAAF), and the 72nd race is also authorized the Silver Label status. That we are able to host such an internationally acclaimed event is nodoubt down to the efforts of everyone connected to its organization, and the gift of cooperation and understanding from the people of Marugame, for which I am truly grateful.